Dark Souls 3 concludes the Dark Souls trilogy, bringing players back into the haunted landscapes and supreme challenges associated with the series. There are several possible endings to Dark Souls III, and although most are anticlimactic, they drive home the loneliness of the paths we took. The old lords have abandoned their posts, and in the hunt to usurp them, we descend into those dark valleys, and climb those imposing peaks. This is the essence of Dark Souls III: periods of doubt, followed by great reward. The journey may be rocky, but there's a throne waiting at the end. 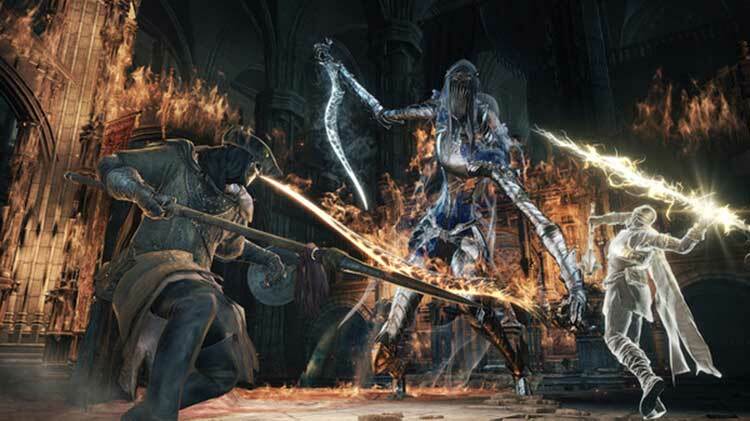 Devout followers of the Souls series will immediately discover that Dark Souls III is in many respects more of the same, and the majority of them couldn't be happier with that judgment. Dark Souls III improves on its predecessors in nearly every way, making for the most masterfully-crafted, tautly-paced entry in the series. The combat is faster and more flexible, the world design is complex but never bloated, and the atmospheric presentation makes you feel like you're completely engulfed in the unsettling sights and sounds of this volatile fantasy world. 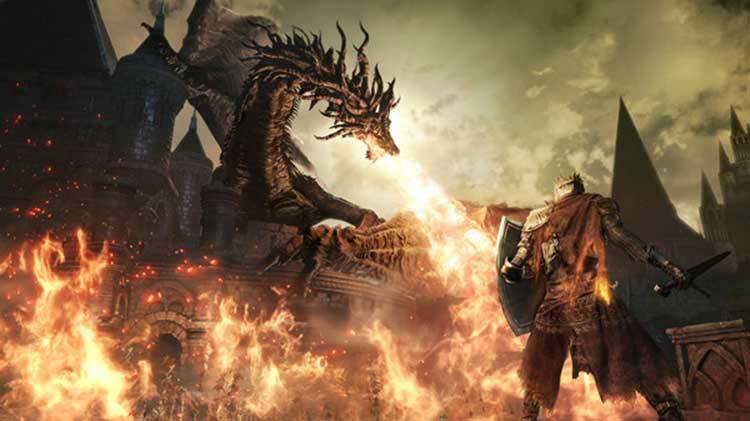 Should this truly be the last time we seek respite in the warm glow of a bonfire, we can rest easy knowing Dark Souls III is a deserving and satisfying end to a phenomenal series. Thankfully, the console versions fare much better in terms of stability. On PS4, it runs at least as smooth as Bloodborne did and with much faster load times (with the trade-off of occasionally slow-loading textures.) On Xbox One, Dark Souls III runs at a noticeably choppier frame rate and a slightly lower resolution than the PS4 build, but it's still very a playable and stable and solid port of the game. Dark Souls used to feel like a gigantic trap. Dark Souls 3, for better and for worse, feels like home. The third in the trilogy is bewitching while it lasts, but may not leave you wanting more. 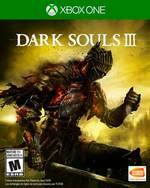 Dark Souls III es el último esfuerzo de una fórmula refinada hasta el máximo posible. Uno de los juegos más trabajados e importantes de lo que va de año, que marcará un antes y un después en la historia de un tipo de videojuego. Si eres amante de la saga, no hace falta decir más. FromSoftware ha vuelto a crear una obra para el recuerdo, que no olvidaremos ni siendo huecos. 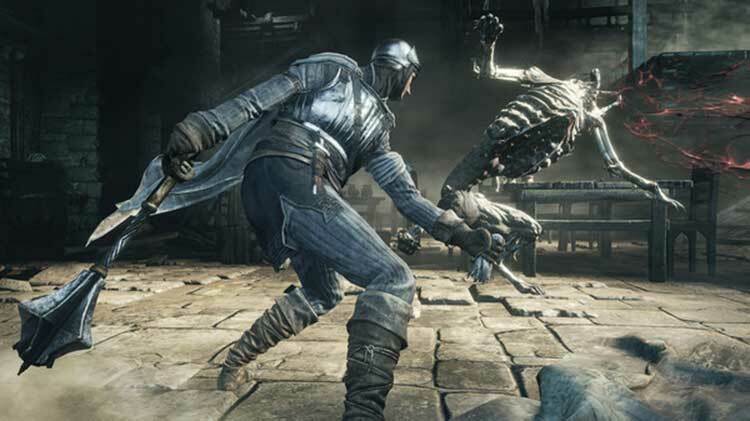 Pocos títulos pueden aseverar ser tan redondos como este Dark Souls 3. No está exento de algunos problemas técnicos, y probablemente algunas modificaciones en ciertas mecánicas no gustarán a todo el mundo. 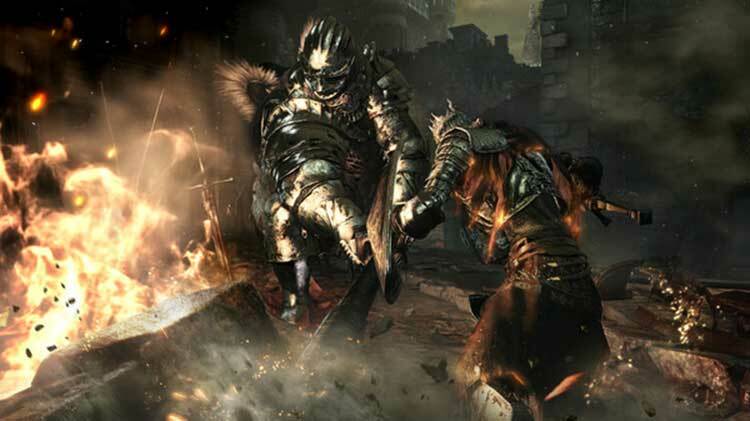 Pero de la misma manera que habrá gente que considerará que el primer Dark Souls es insuperable, no serán pocos los que a partir de ahora mencionarán como Obra Maestra a Dark Souls 3. Die Welt sieht nicht nur fantastisch aus, ihr Aufbau und die Verknüpfungen sowie Abkürzungen erinnern angenehm an das erste Dark Souls - auch wenn es etwas zu viel Komfort gibt, was Teleports, Reparaturen und Leuchtfeuerdistanzen betrifft. Aber hinzu kommen wichtige frische Impulse: Aus künstlerischer Sicht lässt hier und da der apokalyptische Horror eines Bloodborne grüßen, die erzählerischen Leitmotive Asche, Glut und Feuer sorgen aber für genug eigenständigen Charakter. Mein größter Kritikpunkt an Dark Souls 3 ist, dass er sich nichts wirklich Neues traut. Ist das schlimm? Auf keinen Fall. Immerhin ist das Spielprinzip bewährt und wird hier dank der höheren Geschwindigkeit nahe der Perfektion getrieben. Trotzdem hätte ich mir grade von der Levelgestaltung mehr erhofft. Jedes Gebiet habe ich irgendwie schon einmal in einem der Vorgänger gesehen. 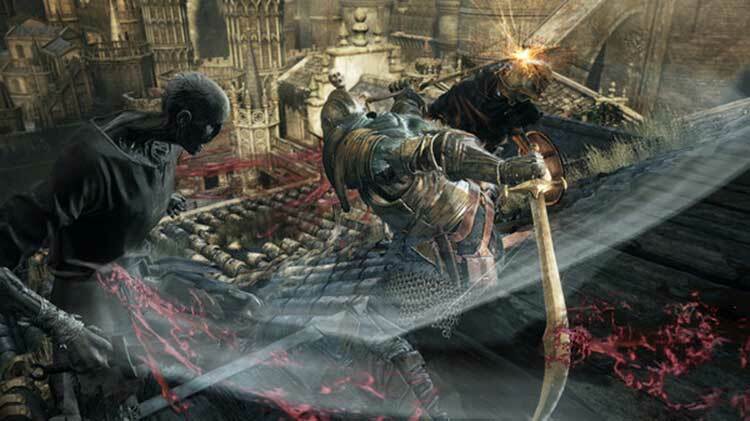 Dark Souls III excede todas as expectativas com grandiosos confrontos, um mundo soberbo e uma jogabilidade ímpar. O regresso de Miyazaki extingue os terrores de Drangleic, contemplando os fãs com lufadas de nostalgia, lembrando o porquê de se estar disposto a morrer vezes e vezes sem conta, naquele que poderá vir a ser para muitos o melhor título da série. Она делает акцент на верных вещах, она учится на опыте предшественниц, она предлагает то, что многим играм не по силам. Это долгое, напряженное и захватывающее путешествие по ярким и запоминающимся местам. Это замечательный, красивый и по-настоящему трехмерный мир, исследовать который крайне интересно. Это все растущие в сложности сражения, заставляющие действовать внимательнее, проворнее, хитрее. Med utmanande bossstrider, vackra miljöer och kreativa vapen kommer Dark Souls 3 inte göra dig besviken. Kameran är fortfarande irriterande, men förstör inte upplevelsen allt för mycket. Du kommer dö, många gånger, men när du väl vinner kommer även du bli fast. Sedan är jag inte lika förälskad i hur världen i Dark Souls III ser ut som jag var i Bloodborne-designen, som kändes mycket mer inspirerad. För mig är spelet på det stora hela inte lika obönhörligt fängslande som Bloodborne var. Det var ett spel som jag inte kunde sluta tänka på när jag inte spelade det och Dark Souls III lyckas helt enkelt inte leva upp till det. Det bjuder inte på många överraskningar, utan är som sagt mer av samma.